The Stan Dietz Family Farm has both a barn and a shed that have barn quilts on them. The “Mighty Oak” (with oak leaves) is on the barn while the other one is on the shed. They are both old German heritage symbols and since the Dietz family was from Germany, they chose these designs. The barn was built in 1902 and was one of the largest barns built in its time. It measures 90ft x 45ft and the roof peaks at 45ft. There was also once a large cupola on it that stood an additional 22ft in the air. It was blown off in a storm in the 1930s. 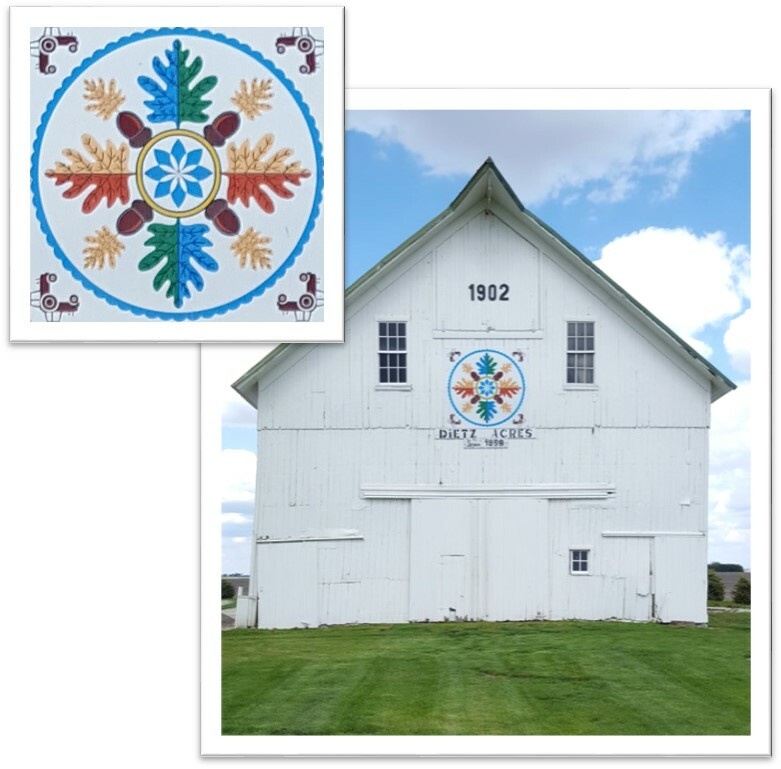 The “Mighty Oak” barn quilt has meaning behind its design. The great oak’s colors suggest power especially as it pertains to one’s character. A strong sturdy body and good mind are a need of all men and are symbolized in the “Mighty Oak.” Some Dutch believe the oak symbol to be a good sign against witchcraft. 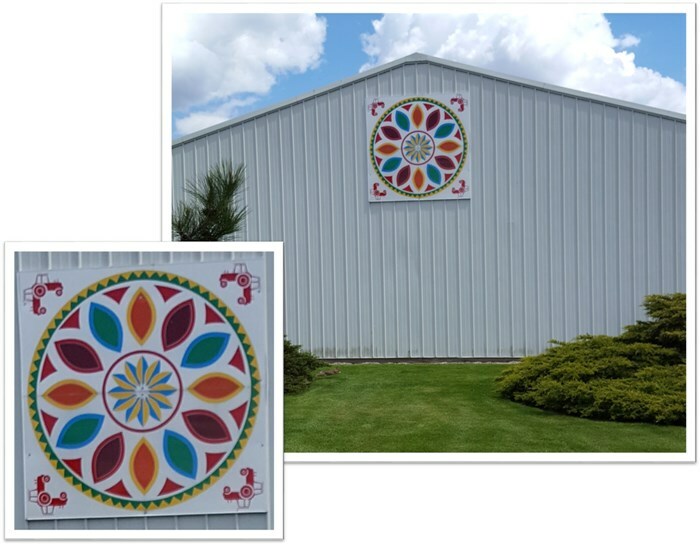 The other barn quilt is on the shed located just north of the 115 & 116 intersection on the east side of the road. This sign is said to bring strength and good fortune to the head of the house. The outside leaves spreading in all directions mean that whichever way you turn you will have good luck!